As someone who was a Clearly Canadian devotee during his school days, I was extremely excited to report this past May that the clear, fruit-flavored soda brand was coming back into production, supported by a preorder and crowdfunding campaign. I interviewed new owner Robert Kahn, who at the time said he was targeting a September release date for the return of the classic brand. Unfortunately, here we are in the second month of 2016, and according to a post on the company’s Facebook page, the first of those preorders has only shipped to customers this past week – and only to a limited number of customers at that. 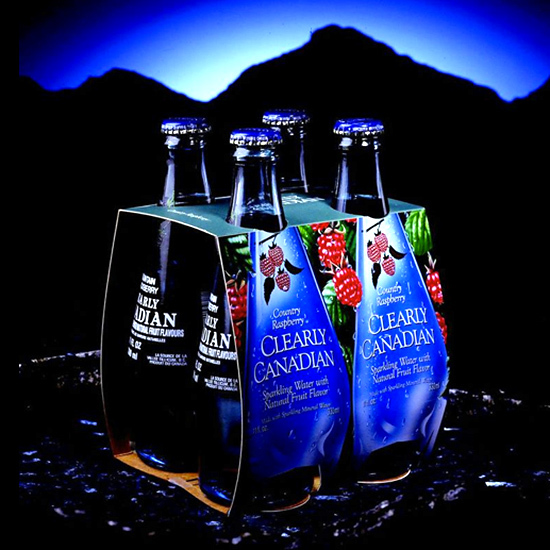 A mere 6,500 cases out of the 30,100 preorders Clearly Canadian received have been produced. The brand wrote on Facebook that the rest won’t go out until “late spring or even potentially early summer when a new production plant is in operation.” Though Kahn told Grub Street he wants to fill orders as quickly as possible, the details were limited, even suggesting that people who preordered might end up having to redeem their orders at stores after a national rollout. Though at least one person who got his shipment was willing to proclaim it was “worth the wait” and the brand’s Facebook page continues to garner interest and optimism, unsurprisingly, others are using social media to vent their frustrations instead of their excitement, especially with updates only trickling in and the promises of future release dates sounding decidedly vague. Sadly, delayed crowdfunding projects appear to be growingly common. Back in November, we reported on the troubles faced by The Coolest Cooler, one of the most successful Kickstarters of all time when it came to raising funds, but one of the most notorious when it came to actually getting their product to customers on time. “Please keep positive - and please keep your fellow Clearly Canadian lovers thinking straight!” the soda brand clunkily wrote in its most recent Facebook post. Though all crowdsourcing campaigns need to feed off a sense of optimism, Clearly Canadian’s campaign is just more proof that supporters should go in with a sense of reality as well.